John Barrymore, famed actor and former Seton Hall College student, c. 1891. 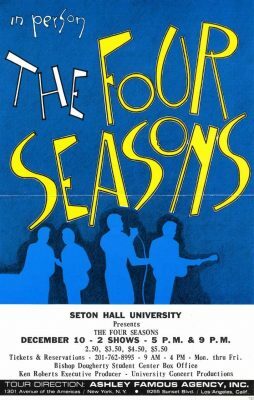 On display during the Fall 2017 semester is an exhibit entitled: “Setonia in Stage & Song – South Orange & New Jersey Perspectives (1856-Present)” that features connections between the artistic legacy of early Seton Hall and how the contributions of students and alumni along with special visitors to campus have made the campus a perpetual home for creative expression. 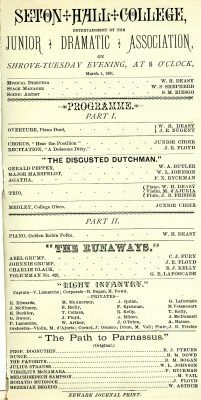 The earliest examples of musical inclination came through the rental of instruments by students during the early 1860s which complimented classroom and public recitations along with a thriving Drama Society that produced programs in honor of different school, church, and national holidays. 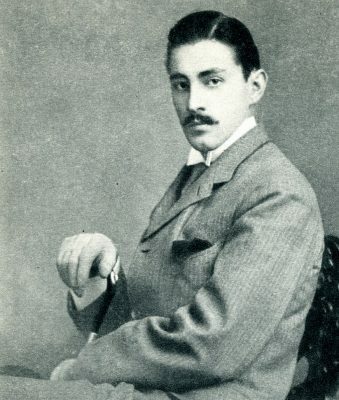 Counted among the most prolific individual actors of the late nineteenth and early-mid twentieth century who attended Seton Hall include John Barrymore (1882-1942) who was accepted by most critics as the foremost English-speaking actor of his time for his mastery of Hamlet and Richard III among other Shakespearean works, and Lionel Barrymore (1878-1954) known for his motion picture roles most notably in Dr. Kildare and It’s A Wonderful Life. A contemporary of theirs was Albert “Raoul” Walsh (1887-1980) who came to South Orange in the 1900s, a famed director known for his work on High Sierra and White Heat among others. From the turn of the century onward, Seton Hall was home to further dramatic productions with heavy patronage and perpetual interest. 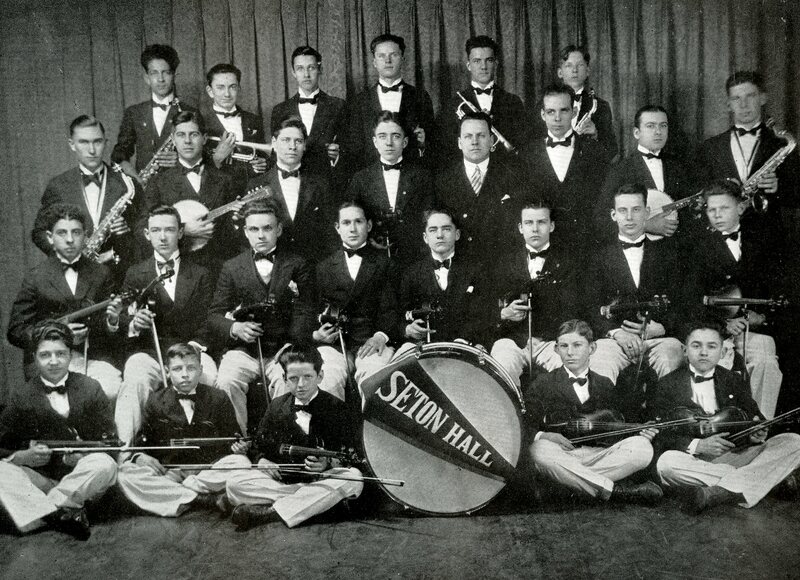 Those who belonged to student organizations often collaborated with local Catholic colleges for joint performances, campus visits, radio broadcasts (local radio stations, and over national networks – Mutual and CBS), but also the Seton Hall Orchestra, the Schola Cantorum (Choral Group that sing the Gregorian Chant and Polyphony for High Mass), and Glee Club under the direction of noted musicologist and Head of the Department of Music – Nicola A. Montani, K.C. St. G.) were in demand for events including the signing of signature school songs namely – “The Alma Mater” and “March Setonia” along with others at the “Annual Concert” in Newark and other venues throughout the East Coast. From the late 1940s onward, campus radio station W-S-O-U (the first college-operated FM outlet to hit the air in New Jersey) offered listeners radio dramas and also played host to such noted entertainers as Vaughn Monroe and Connie Francis (from nearby Newark) along with regularly scheduled live musical programs. This ranged the gamut from early vinyl (and later CD) from classical and opera to religious to their current heavy metal format, many artists have been played on campus airwaves and keep the appeal of music alive. 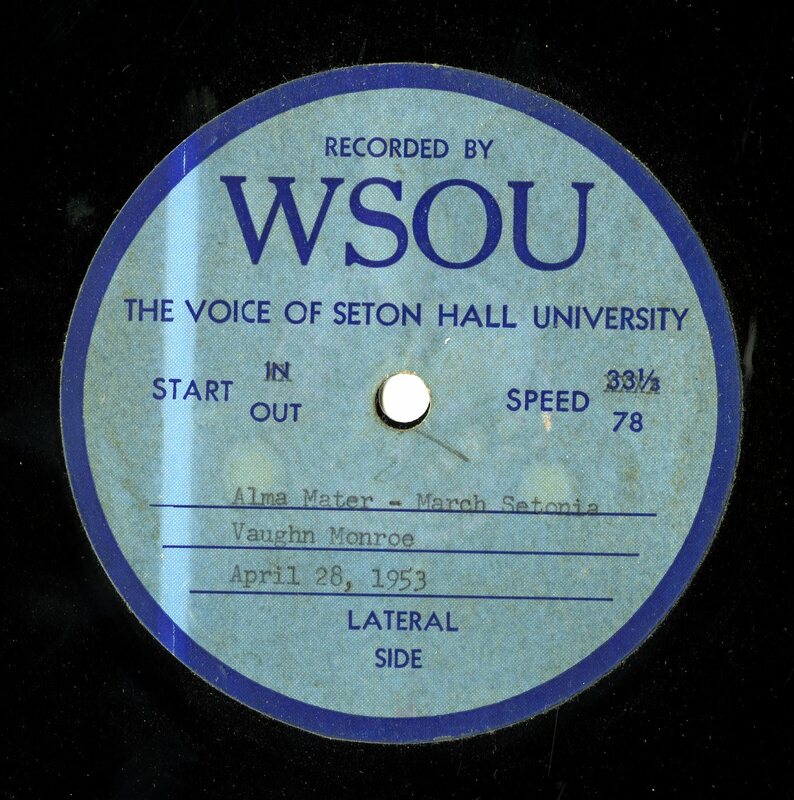 “March Setonia” record produced in the studios of W-S-O-U FM radio and sung by Vaughn Monroe, c. 1953. Over the last half century, Seton Hall has produced a number of individuals who have been active in the entertainment business including actors Ron Carey (’56) (Barney Miller), Kevin “Chuck” Connors (The Rifleman and Old Yeller), Josephine Siao (Hong Kong actress), and producer E. Duke Vincent (’54) (Beverly Hills 90210 and Melrose Place). Many others have a connection to the school, but also those who visited our site for special concerts or recitations are legendary. A number of locally famous individuals including Bruce Springsteen (and the E-Street Band drummer Max Weinberg, a Seton Hall student) (Freehold), Frankie Valli and the Four Seasons (Newark), Dionne Warwick (East Orange) and many others who graced our stages across campus over the last several decades. 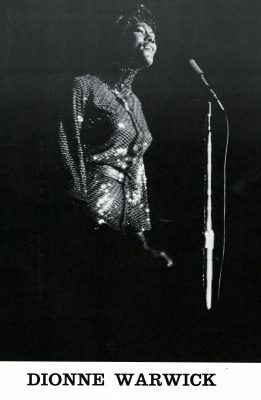 Dionne Warwick of South Orange played Seton Hall in 1970.
contributions remain strong for the Setonia community to explore and share as we move forward into the 2017-18 semester and beyond.